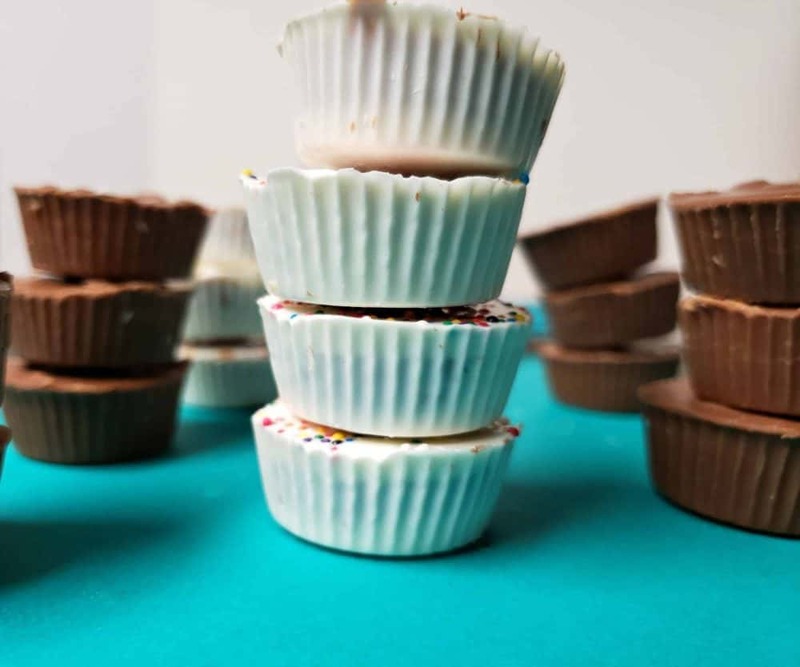 Today I am sharing the secret to Homemade Peanut Butter Cups and you won’t believe how easy they can be to make yourself! 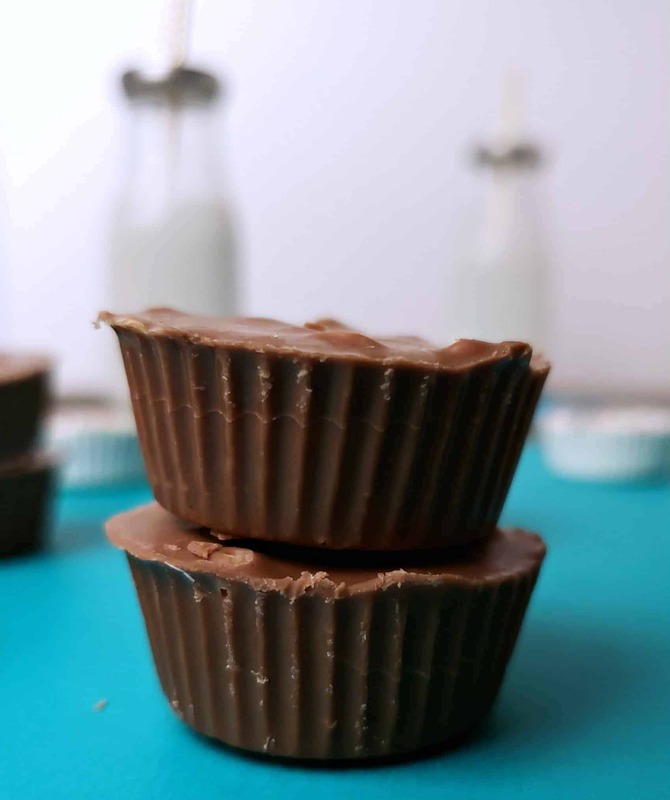 Did you know that you can easily make your own peanut butter cups using the recipe below? 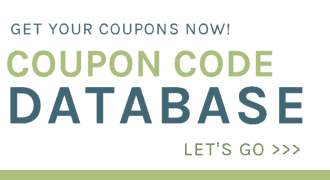 It is a great way to enjoy them and avoid a lot of the junky chemical ingredients that you will find in the popular peanut butter cups that you will find in the candy aisle. 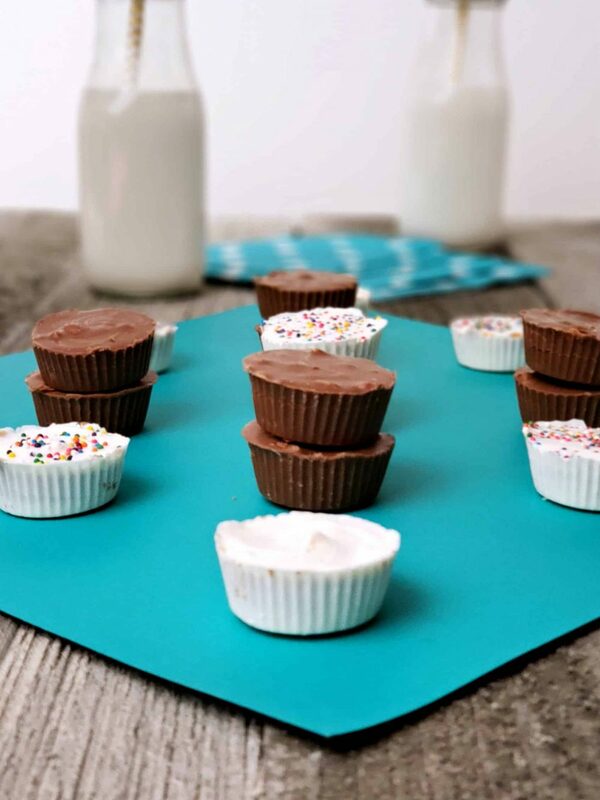 This recipe will make approximately 30 peanut butter cups. *Notes: This requires 1 or 2 pans to heat water in and 3-4 small bowls that hold 2 cups ingredients for melting (double boiler style). 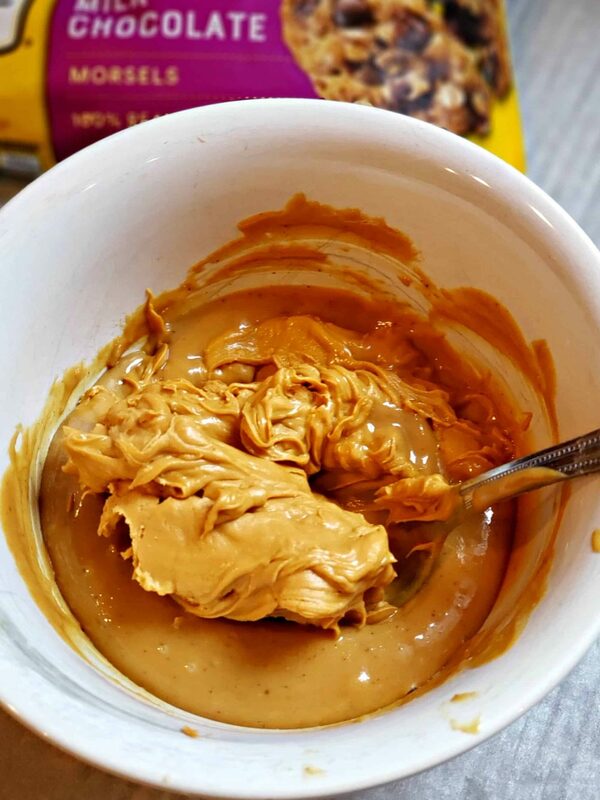 In a bowl combine 1 cup creamy peanut butter with 1 cup butterscotch and place in skillet of water to melt. This makes the center layer of the peanut butter cups. 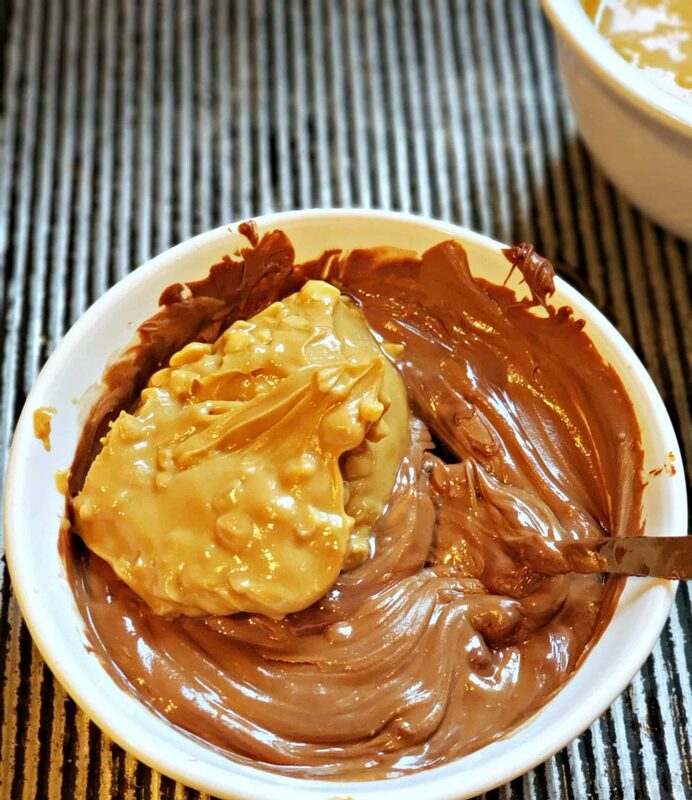 If making just chocolate peanut butter cups, combine 1 cup butterscotch and 1 cup milk chocolate with 3⁄4 cup crunchy peanut butter in a bowl and add to skillet to become creamy and smooth. This makes your bottom and top layer. 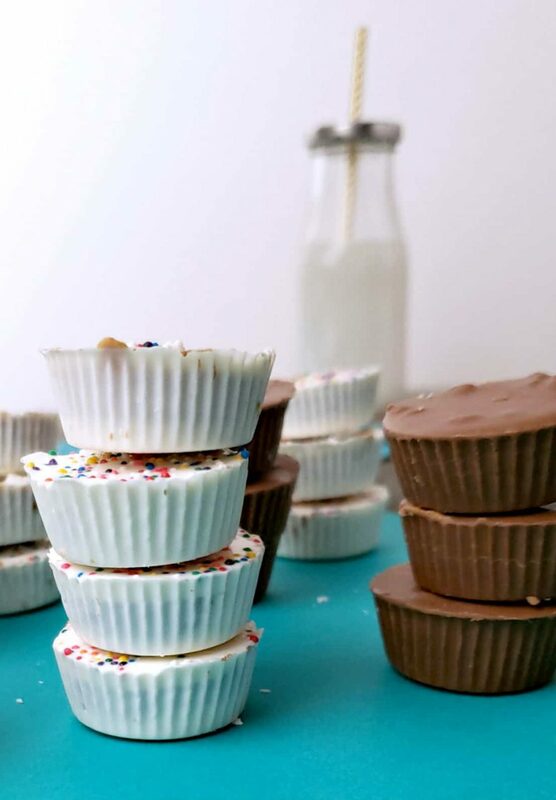 Peanut Butter Cups Tip: If making white chocolate as well, divide the ingredients between 2 bowls: 1⁄2 cup milk chocolate, 1⁄4 + 1/8 cups crunchy peanut butter and 1⁄2 cup butterscotch in one bowl AND 1⁄2 cup white chocolate, 1⁄4 + 1/8 cups crunchy peanut butter and 1⁄2 cup butterscotch in another bowl. 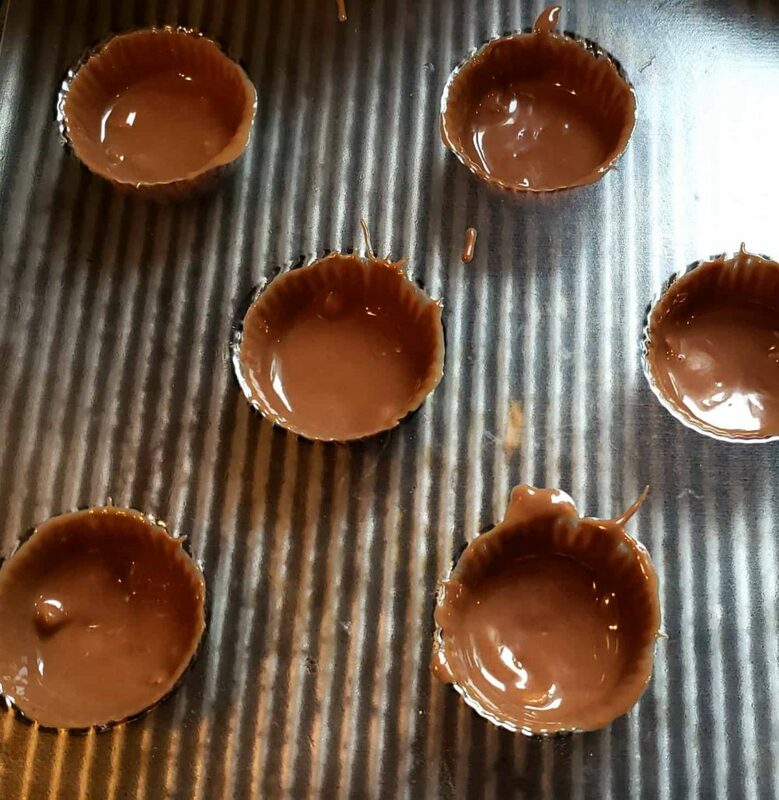 In peanut butter cups candy mold or liners add bottom layer of chocolate or white chocolate mixture. Place in refrigerator to firm. 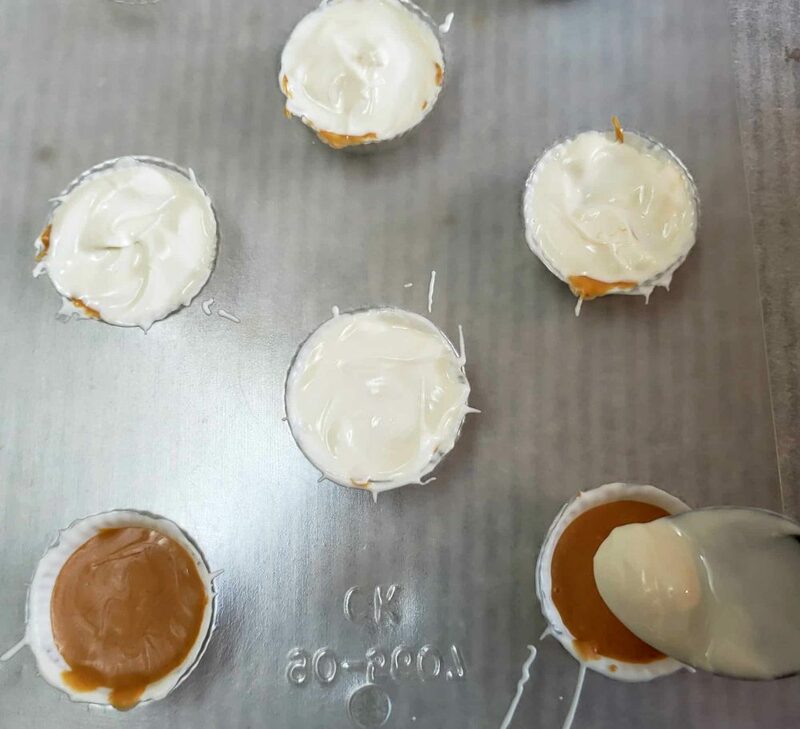 Add butterscotch and creamy peanut butter mixture to the middle layer. Place in refrigerator to firm. Top with your choice of chocolate or white chocolate layer. If adding sprinkles, make sure to do so before it becomes firm in the refrigerator. Pop out of candy mold and cupcake liners. Store in refrigerator until time to serve. 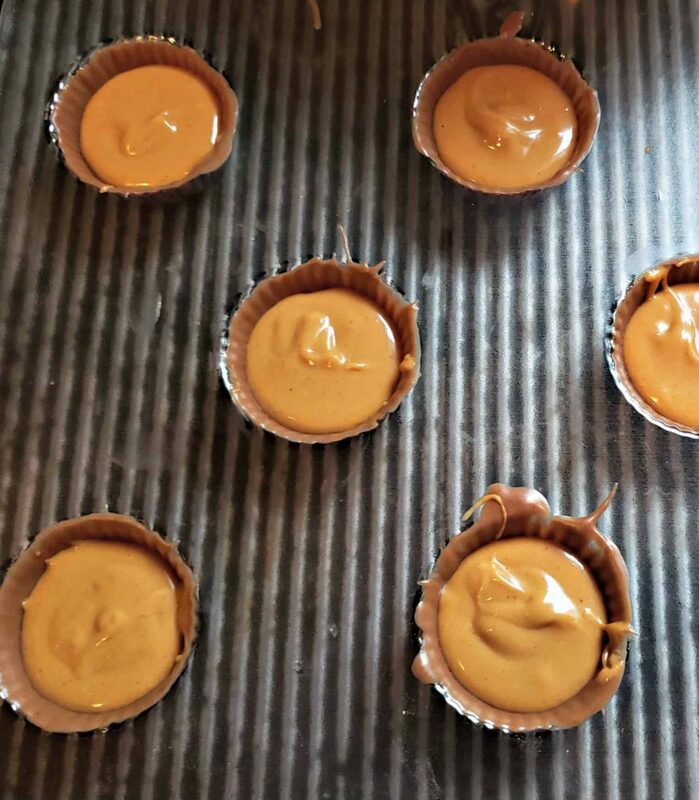 If making just chocolate peanut butter cups, combine 1 cup butterscotch and 1 cup milk chocolate with 3⁄4 cup crunchy peanut butter in a bowl and add to skillet to become creamy and smooth. This makes your bottom and top layer. 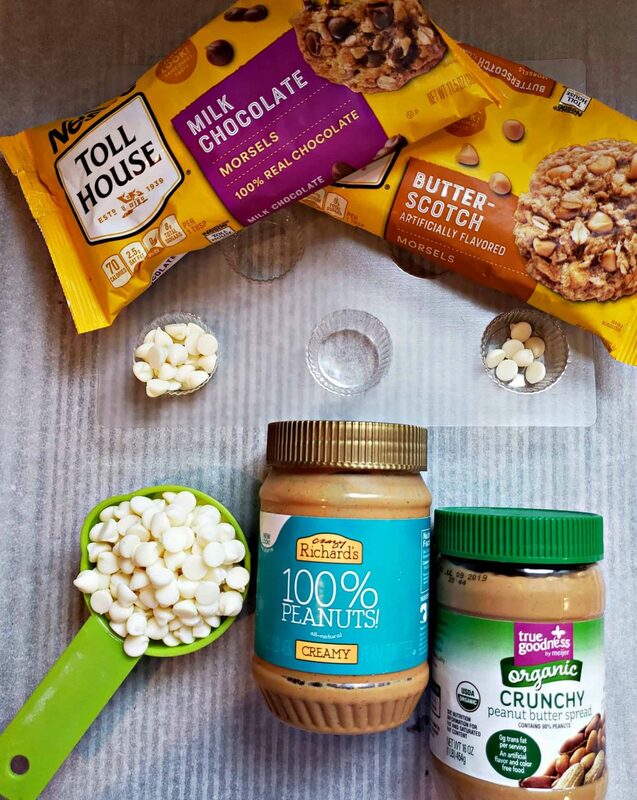 ***If making white chocolate as well, divide the ingredients between 2 bowls: 1⁄2 cup milk chocolate, 1⁄4 + 1/8 cups crunchy peanut butter and 1⁄2 cup butterscotch in one bowl AND 1⁄2 cup white chocolate, 1⁄4 + 1/8 cups crunchy peanut butter and 1⁄2 cup butterscotch in another bowl. In candy mold or liners add bottom layer of chocolate or white chocolate mixture. Place in refrigerator to firm. Top with chocolate or white chocolate layer and if adding sprinkles, do so before it becomes firm in the refrigerator.